The traditional flavors of ginger and soy sauce add to the meaty texture of this amazing salmon recipe. The marinade of soy sauce, ginger, sherry and honey also serves as the sauce for the finishing touch on this dish. 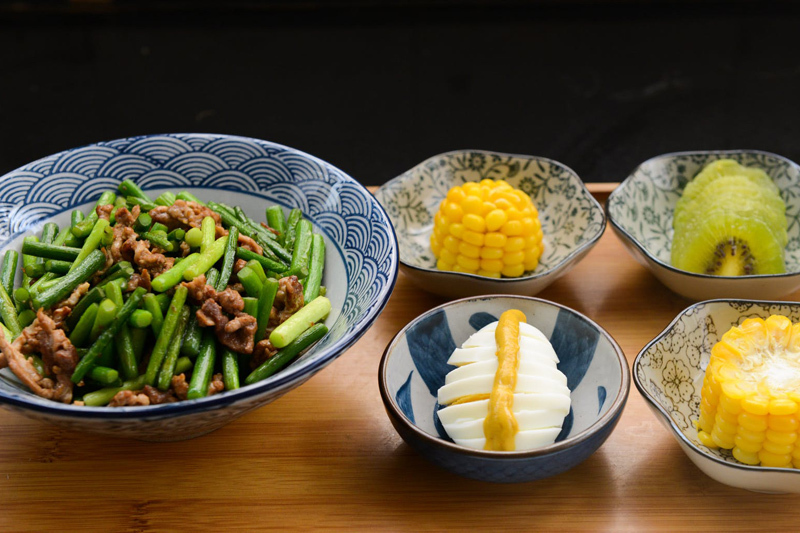 This dish is great served with stir fried green beans and fried rice. Try this soy ginger salmon recipe and let me know what you think in the Chinese food forum found here. Enjoy! Place the salmon pieces in a flat bottomed container that has a tight fitting lid to be marinated. Prepare the marinade. First remove all of the skin from the piece of ginger. Then chop it into tiny pieces and set them aside. In a large cup mix together the soy sauce, sherry, 2 tablespoons of the honey, and the chopped ginger. Stir until everything is combined thoroughly. Then pour this mixture over the salmon pieces making sure to cover them completely. Cover the salmon and let it marinate for 30 minutes. While the salmon marinates, prepare the other ingredients. In a small cup mix the cornstarch with just a little water until it dissolves. Then set this mixture aside. This will be the thickener for the sauce. The sauce will be made from the marinade which will be boiled and then thickened. Rinse the green onion under cold running water and then dry it with paper towels. Cut off the base and about an inch from the top of the green stems and discard. Then cut the remaining stalk into tiny pieces and set them aside. These will be used as garnish for the salmon. Once the salmon marinates preheat the broiler on high. For those who are unfamiliar with the broiler, it is the top element inside the stove. If you don’t have an oven with a broiler, you can grill the salmon as well. While the broiler heats, grease a baking sheet with a little peanut oil. Lightly spread the oil on using a paper towel. Then place the salmon pieces on the sheet. Once the broiler is hot, place the baking sheet with the salmon about 5 inches directly under the broiler and let it cook for 7 minutes. While the salmon cooks, prepare the sauce. Pour the leftover marinade into a small saucepan and add the remaining tablespoon of honey. Heat this mixture on medium high stirring constantly until it comes to a boil. Once the sauce comes to a boil, add the cornstarch mixture and continue to stir until the sauce thickens. Then immediately remove it from the heat. Make sure to stir continuously so that it does not burn. After 7 minutes, remove the salmon from the oven and place the pieces on a serving plate. Spread a light layer of the sauce over the salmon pieces and then top them with the chopped green onion and serve. Makes 4 servings.